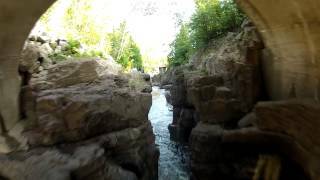 The rivers and waterfalls, famous state parks, the Gitchi Gami Trail, Lake Superior Kayak Trail, Superior Hiking Trail along Minnesota's North Shore have been photographed countless times. But not from these angles. YouTube user "strangerdejavu" used a remote-controlled "quadcopter" (a highly-manueverable and relatively-affordable new device, quickly gaining popularity) to bring us a new perspective on some very popular sights. Enjoy!